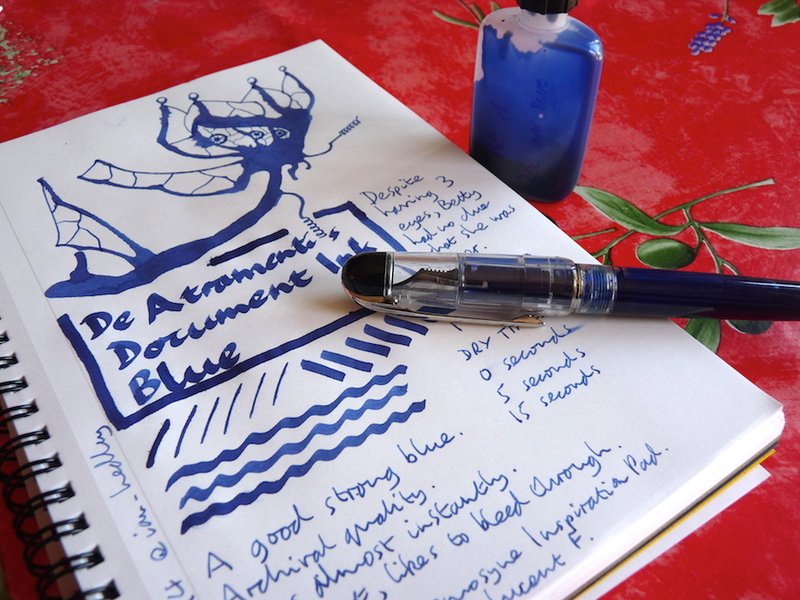 De Atramentis Document Ink Blue ink review – Pens! Paper! Pencils! 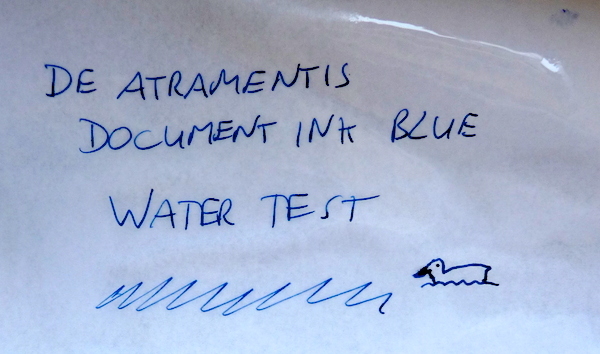 De Atramentis Document Ink Blue is a good solid blue colour and is also lightfast and waterproof. It’s very wet though and where the ink pooled in this Inkling it absolutely soaked through the paper and not the next sheet. 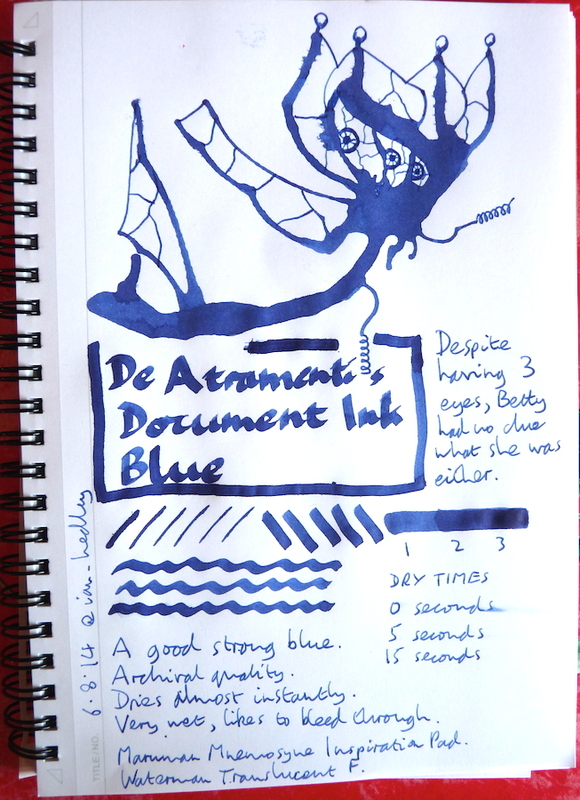 Having said that, there was a lot of ink there and it does dry almost instantly.